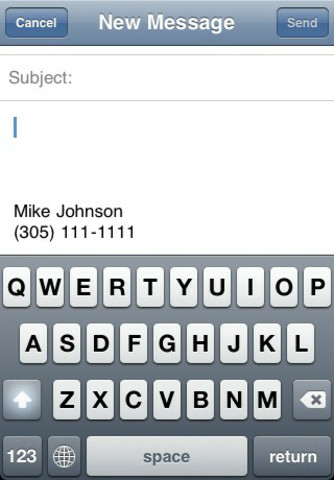 Isn't it a hassle having to edit your emails' signature every time depending on who you are sending it to? 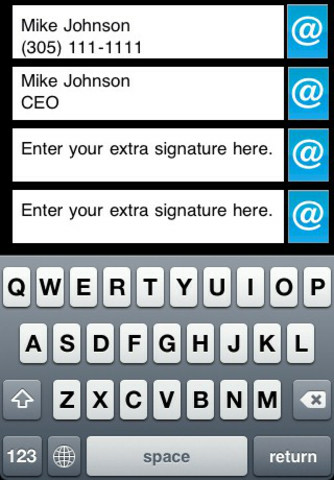 Finally an application that lets you choose from your own preset list of signatures for every email! You have the option to save four different signatures for emails. The possibilities are endless; you can have one for your business ones, friendship, love or just plain ones. 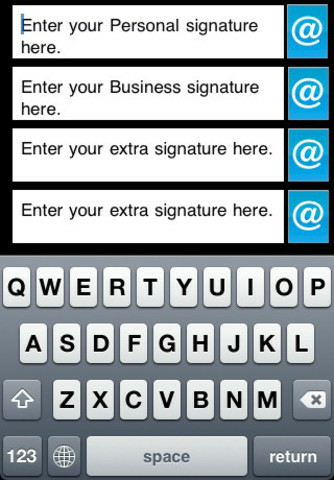 Also, you are not limited by how many lines you can add; you can write all your contact information on your signatures! We are constantly working on new versions; keep posted for a deluxe one coming soon with font format, color, size and other editions to your emails' signature options. Also, make sure you check our other applications that will definitely help you simplify your life with your iPhone. Please feel free to share with us any suggestions or comments you may have!